Home	- Arcade & Amusement Industry News	- The Phil-Asian Gaming Expo is Coming! 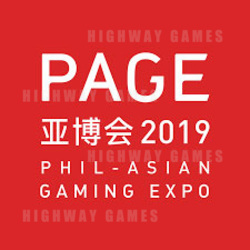 PAGE (the Phil-Asian Gaming Expo) is the first government-supported trade show of the entertainment industry in the Phillipines, and will be held at the SMX Convention Centre, Manila, on July 12-14, 2019. The trade show will have an exhibition area of 15,000 square metres and more than 200 exhibitors and sponsors from 15 countries and regions are expected to be there. More than 1,000 online games, product solutions and peripheral products will make their first public appearance at PAGE. Since its founding, PAGE has been committed to creating a credible, fair and transparent platform for the industry in order to support, influence and lead via industry B2B exhibitions. Its aim has been to achieve self-disciplined and healthy industry development. PAGE is committed to becoming a major entertainment hub in the Philippines and Asia, and it provides industry professionals with a one-stop platform for communicating and learning, establishing new connections, seeking new products and solutions and deeping visitors understanding of the latest global industry trends.